Recently I was most honored that Graham Henry, a senior reporter with one of the Welsh papers, wrote a wonderful article on me and my first novel, Lake Caerwych. A huge thanks to Mr. Henry for giving me such a great opportunity to share my work with others. Its coastline of sandy beaches, spectacular cliffs and stunning lakes is enough to inspire all who visit it. But now an obscure corner of Snowdonia has proved to have a reach far further than anyone thought after it inspired a writer to make it the centre of her debut novel – even though she had never visited Wales. “I was looking for lakes and I came upon Llyn Caerwych by nothing more than accident,” Conrad, 35, told the Western Mail. “I found the word ‘Caerwych’ itself to be one of the most beautiful words ever written – and decided that not only would much of the story centre around this lake, but that it would be the title of the book as well. The story itself features two friends who come across a Celtic necklace in a second-hand shop, triggering a feeling of déjà vu which leads to the pair being transported back to 500BC Wales – via a megalithic portal at the Bronze Age stone circle Bryn Cader Faner. But Conrad – originally from St Louis, Missouri but now based in Texas after meeting her husband John Michael – said she was breaching a “taboo” by writing about a place she had never visited herself. “I came across Snowdonia when searching for the lake I would have the characters visit,” she said. “I found Llyn Caerwych in Snowdonia and the area had everything: moorland, numerous lakes, farmhouses, the ring cairn, hut circles, and of course, the sheep-dotted landscape. “It was perfect – and since it’s a national park it’s quite rural, so there was plenty for the characters to explore and yet stay out of sight at times. “I broke a taboo and wrote about a place I’ve never visited. I think that sometimes we get into the whys and wherefores of a thing so much that we forget it’s possible to just love something because we love it. 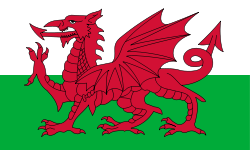 “I have such a strong affinity for Wales that it seemed wasteful to write about something else. “I actually tried to learn Welsh at one point, years ago, but let’s just say my Welsh needs work. “I felt that if I wrote about what interests and inspires me it would be worlds better than writing about things I know but care nothing about. “I’ve also noticed that in the States we hear quite a bit about England, but almost nothing about Wales. The self-published book, which is being sold on Amazon and via the firm’s Kindle gadget, is the first part of a Welsh-based trilogy, with the final edits on the second The Space Between Worlds currently being completed. “So far I have received nothing but positive feedback on the book,” Conrad said. “I’ve had a reader who lives in Snowdonia, near Llechwedd Slate caverns, say he loved it and can’t wait for the next book in the series.